Got Weekend Plans? In case you've lost track, famed klezmer clarinet virtuosa Margot Leverett is in New Mexico (see Margot's in New Mexico!) and will be performing this very weekend - right here in Albuquerque! 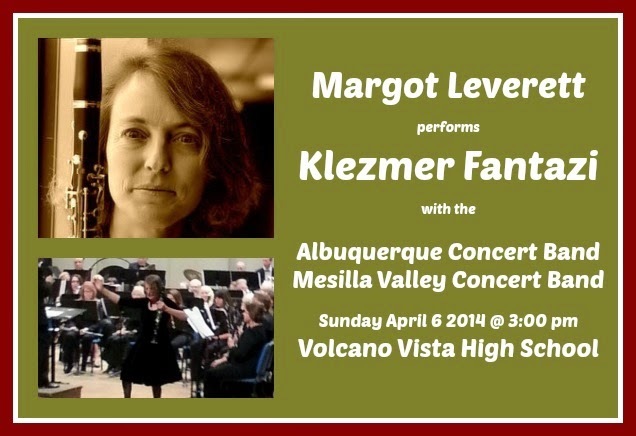 Margot will be appearing on the same stage as the Albuquerque Concert Band, and actually performing Klezmer Fantazi (a free-form song, traditionally played at Jewish weddings to the guests as they dined )with the Mesilla Valley Concert Band. The performance will be at Volcano Vista High School, which is on the Very West Side of Albuquerque. For all you NEers - yes, you get to go across the river! In case you've lost track, that's the Rio Grande. YES. There are volcanoes on the West Side of Albuquerque. YES. You can see the volcanoes very well from the high school. YES, You can drive to and from the concert in broad daylight. And if you'd like a forschbite of what to expect: Here is Margot performing the Klezmer Fantazi (in two parts) with the Brown University Wind Symphony in April 2009. And if, for some crazy reason, you find yourself in Santa Fe (and what better place is there to find yourself, outside of Albuquerque? 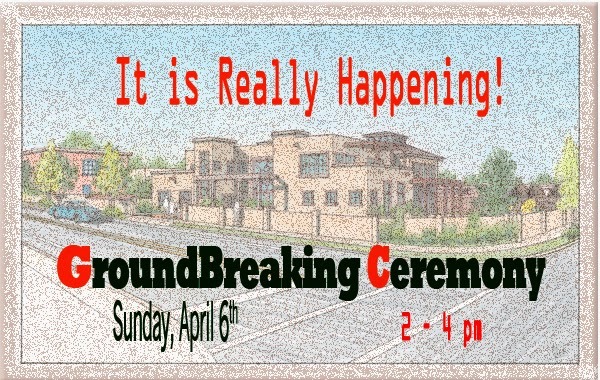 ), you should certainly drop by Chabad Santa Fe 's simcha - the Groundbreaking Ceremony for their new building, the Center for Jewish Life!